I just returned from Walt Disney World on Monday night. It was only a short trip and my wife and I made the decision not to get the Disney Dining Plan. As a result, we chose restaurants that were more “off the beaten path.” These restaurants, for the most part, were at resorts not parks. This kept crowds down and were very easy to get a reservation. This review is on one of those restaurants – Maya Grill. 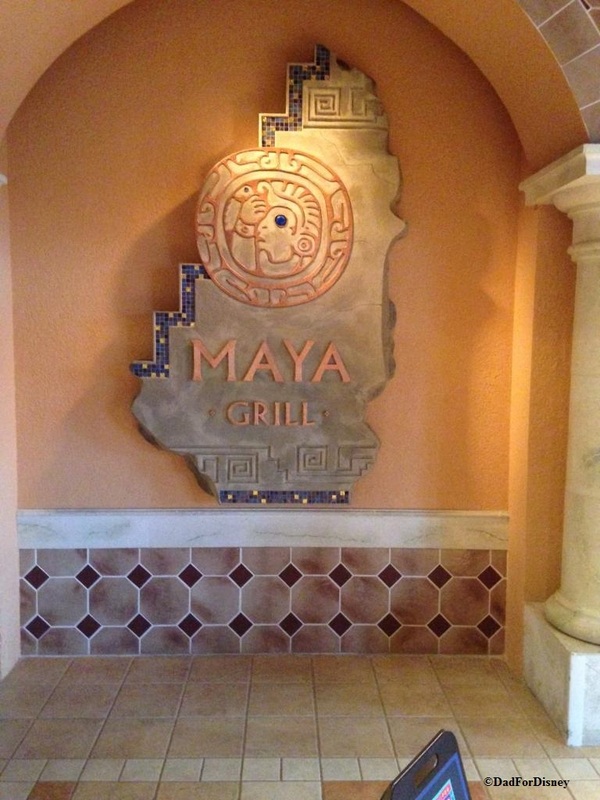 The Maya Grill is located at Coronado Springs which can make it difficult to get and from if you are not staying at Coronado Springs, not already in a theme park, or have your own car. My wife and I briefly toured EPCOT upon our arrival to Yacht Club and worked our way to the front of the park. From EPCOT, we took the bus to Coronado Springs. Our return was bit more tricky but I’ll save that for the end of the review.